O-109 R1 below, O-109a R3 at bottom. 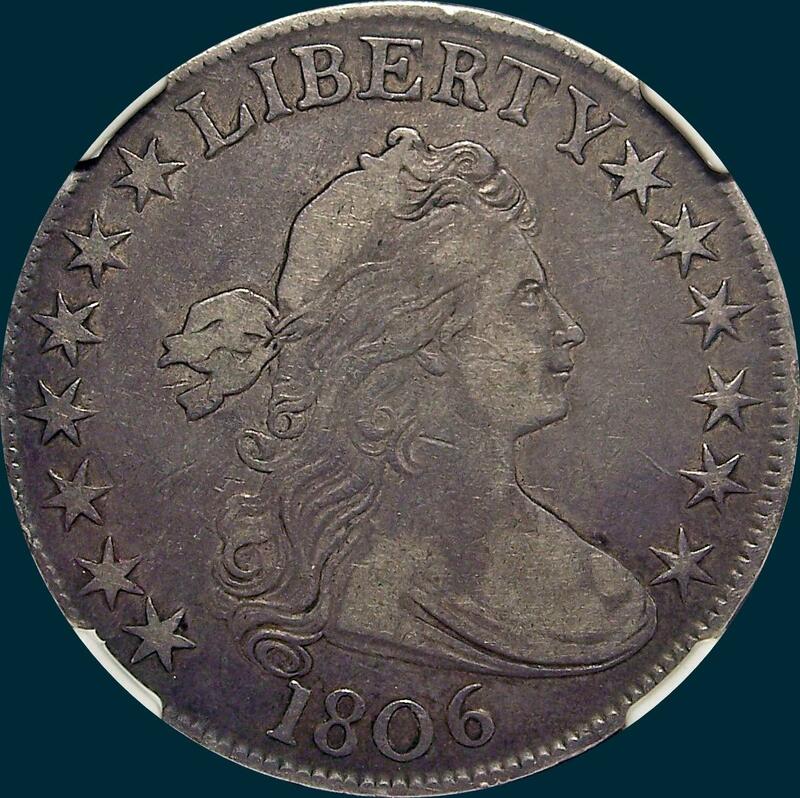 This one is easy to quickly spot and is readily available in all grades, being perhaps the most common 1806 die marriage, with over 1000 survivors. No excuse to not have a problem free example!. NGC Graded VF25. 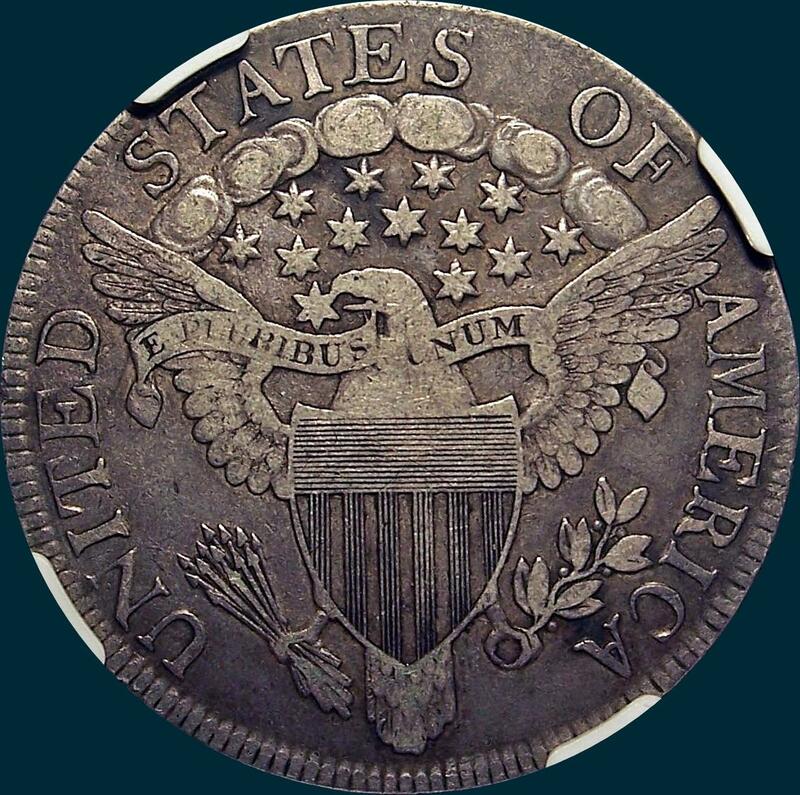 Very original gray dirt coin. The only pointed 6 without a stem. Love the look of this one and it is at the very least properly graded. 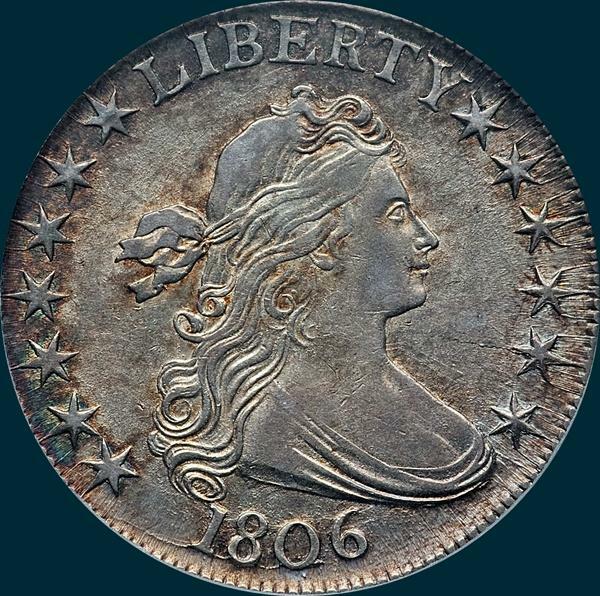 These early dated halves are rather scarce in original condition. 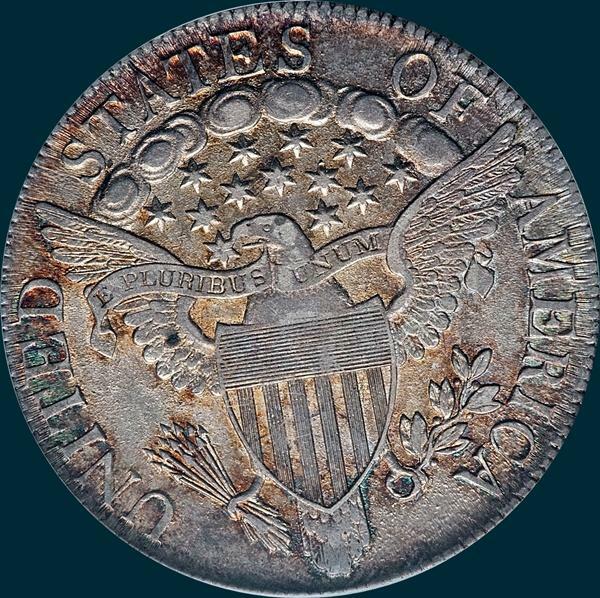 Variety Attribution: Obverse O-109 -Stars are sharp pointed and close to milling. Date is 8 1/2 mm. and large, with 6 higher than 180. 1 close to curl. Spikelike segment between star 7 and L, a similar one between L and I is closer to I. Some specimens begin to show a die crack at base of 180 and like many of these early halves may or may not show various clash marks. My example has neither. O-109a: Heavy horizontal crack from star 12 toward neck. The crack at base of 180 is now a bit heavier with a small lump broken out at the right base of O. This late state of the die usually exhibits only partial milling and stars drawn to edge. Reverse O-109 -5 berries, the three at upper part of branch have long stems, the lowest berry no stem and the other one a short stem. A2 is clear of feathers. Point of leaf is close to right base of I. No stem through claw. O-109a: Reverse usually only shows traces of milling and some letters may be drawn and deformed.